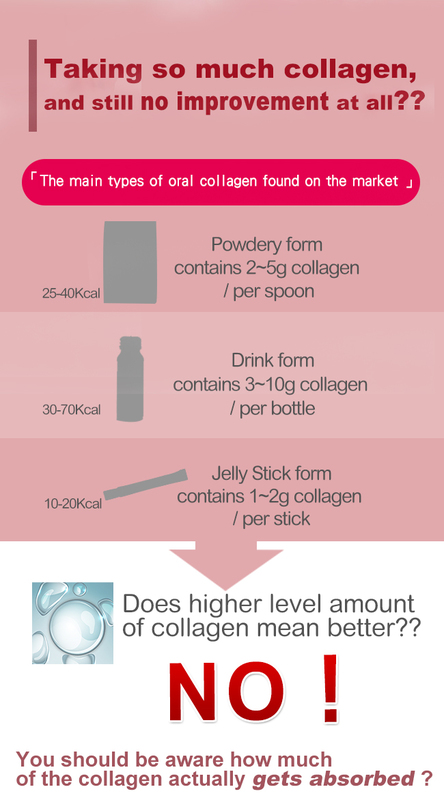 Collagen is a protein central to the elasticity and regeneration of our skin. 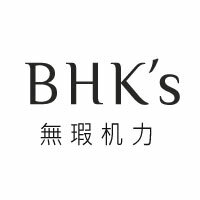 It’s responsible for keeping skin firm, plump, smooth and young-looking. 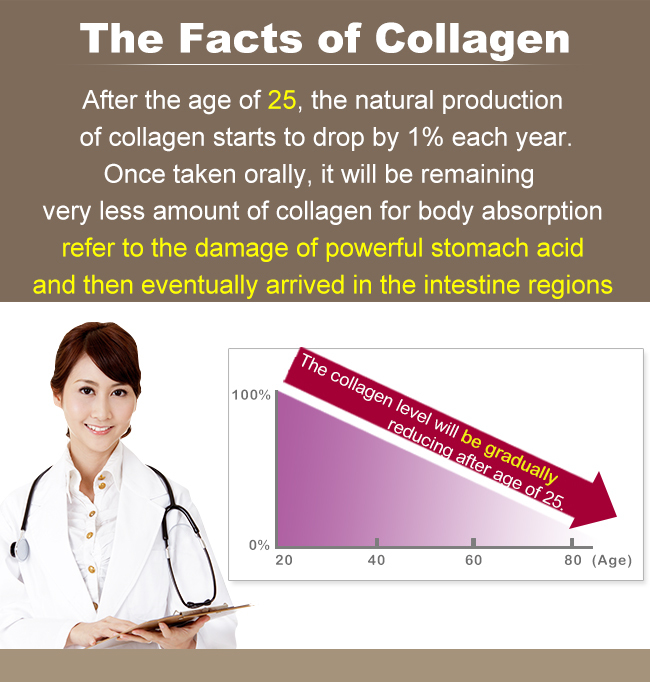 After the age of 25, the natural production of collagen starts to drop by 1% each year. The advanced collagen formulation 2nd edition which also contains the premium standard of Hyaluronic Acid. 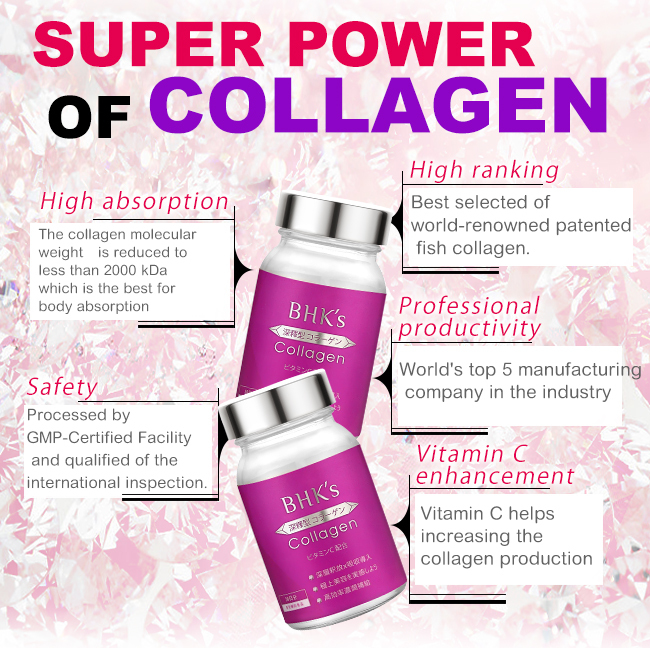 Best selected of world-renowned patented fish collagen! 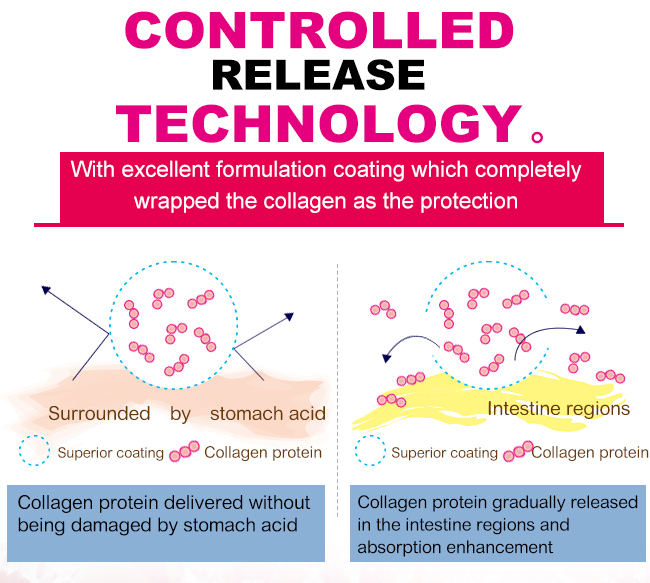 Through the additional manufacturing process, such as Low Temperature Techniques and Hydrolysis Technology which make the collagen molecular weight is reduced to less than 2000 kDa. Its the most appropriate molecular structure for human body absorption! 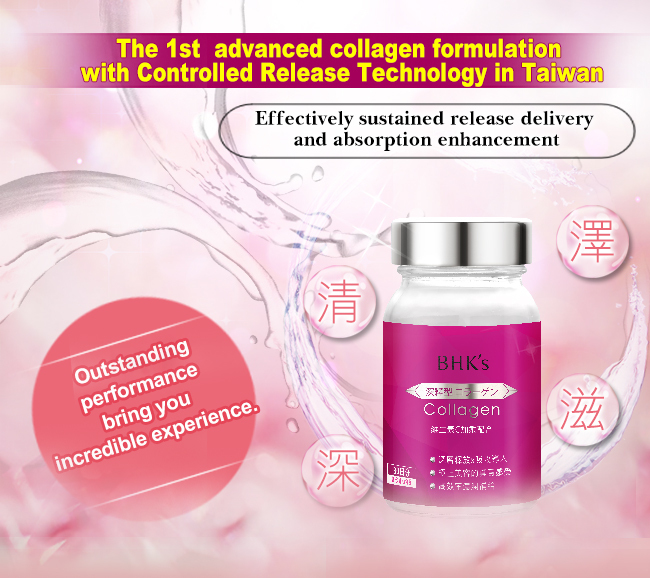 With exceptional formulation of coating which completely wrapped the collagen and certainly absorption. Enhancement after delivered to the intestine regions without being damaged by stomach acid once taken orally . Vitamin C’s powerful antioxidant function helps increasing the collagen level and protect the cells from DNA damage. 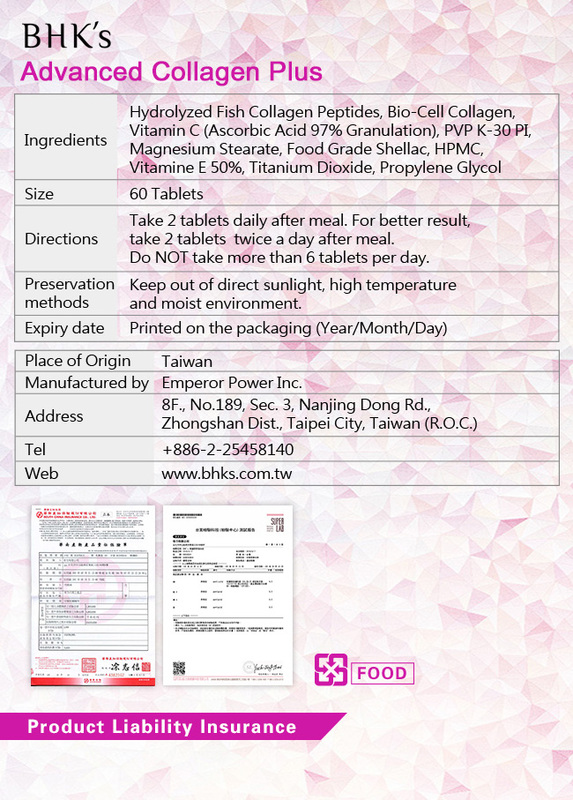 Suggested Use Take 2 tablets daily after meal. For better results,take 2 tablets twice a day after meal. DO NOT take more than 6 tablets per day. CAUTION 1. Those who are allergic to fish should avoid eating. 2. The nature of ingredients may cause slight change in color. This does not change product effectiveness.